Several friends sent me the above photograph that has apparently been doing the rounds on Facebook (1). One even contacted me before the credit was added in Italian. It shows a non cap silver hen that I am supposed to have bred. I didn’t. The photo is a falsehood. The bird I bred looked rather different. Here is the original photograph; it’s as close to the truth as I could achieve. It’s a good example of why you should not believe everything you see on the internet. The Facebook image has been manipulated in Photoshop (2). The contrast has been increased so that the melanins (dark pigments) look denser and the silver edging look brighter. The bird looks like a black canary with silver highlights; a freak. More importantly, it could mislead breeders and judges who may assume the photograph is accurate, and set an unrealistic (and undesirable) standard in their minds. 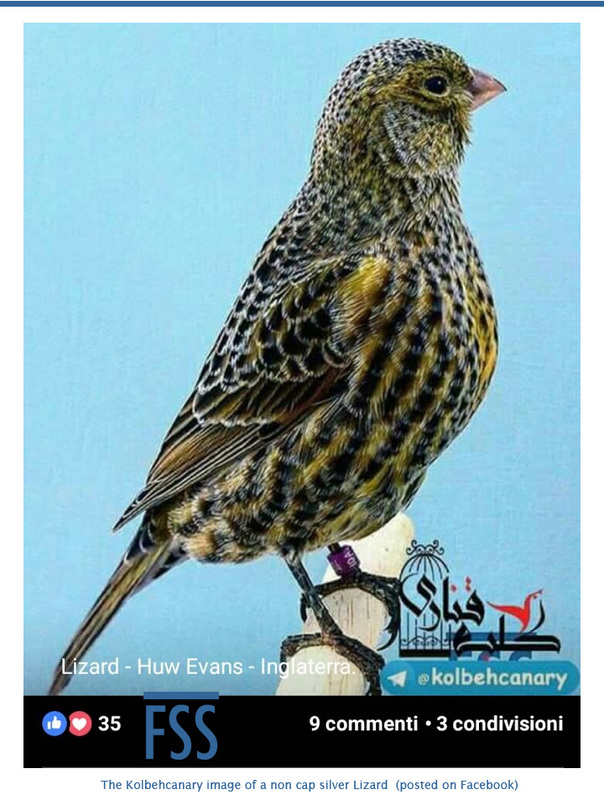 I don’t know ‘kolbehcanary’ (real name Mohsen Biglari, from Iran). I don’t know how he obtained the photograph, and he didn’t ask my permission to reproduce a modified version of it (3). Whoever posted this image on Facebook didn’t bother asking my permission either. I doubt that Facebook cares. Fortunately, many of my readers do request my permission before reproducing my work. I appreciate their courtesy and can’t remember an occasion when it was refused, but I hope you understand why I reserve the right to do so. I refer to Photoshop in a generic sense; it may have been another graphics programme, but the effect is the same. I hold the copyright of the photograph. ← David Newton, the best kept secret in the Lizard canary fancy? Your point is made. But more important is the beauty off this silver non cap hen. .